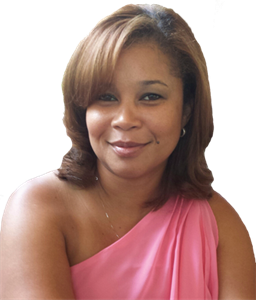 Margo Morgan - Valentin, Morgan Realty & Management Services Inc. - Morgan Realty & Management Services Inc.
Margo Morgan - Valentin, Morgan Realty & Management Services Inc.
Morgan Realty & Management Services Inc. I have been in real estate for about 19 years! I started out doing property management in Stamford, Connecticut and have been a licensed property appraiser in Florida for the last 12 years. I became a sales associate for about 6 years at which time I was a Acquisition Buys and Community Redevelopment Specialist. I work on a Grant called NSP2 it was a $89 million dollar grant that was donated to Miami-Dade by HUD for FTHB and community redevelopment. I have experience with new construction and green homes, both new and rehabilitated. I also specialize in grants for first time home buyers. I am known as the “Money Lady”. I make sure to educate my clients and do seminars for first time home buyers. I teach them everything they need to know as a first time home buyer such as questions they should ask their realtor, questions on cost, and what to expect throughout the whole process. We are the experienced realtors who have string of listings of sales and rental properties at Jacksonville, FL. Contact our real estate office Eagle World Realty Inc.